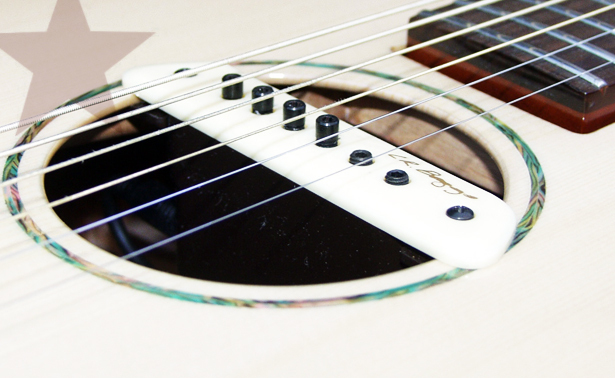 The Baggs M1 completely redefined what was capable from a soundhole pick up when it first appeared. In the past the trade off between feedback, ease of use and sound quality had been a perilously fine line to tread especially in a live performance situation. The M1 is a highly feedback resistant humbucker in which the lower second coil, traditionally used simply to cancel hum, is unlocked to “hear” the body signal from your guitar . Together with the primary coil strign signal the results are a sonically rich pure single coil sound that enhances your guitars tone.